Travis Barker: "We've got like 26 songs for the new blink-182 album"
We’ve got like 26 songs. We’ve been working with John Feldmann, who’s a great friend, and he’s producing the album. It’s amazing. It should drop summertime. Barker also revealed that the new album will be out “sooner than you think” this summer. 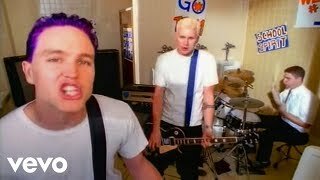 Tom DeLonge: "blink-182 is in my DNA"
Eric Melvin: "There might be a blink-182 and NOFX run of shows"